PHOTOS: Prime Minister Justin Trudeau, members of his cabinet and ordinary Canadians walk toward the swearing-in ceremony yesterday morning at Government House in Ottawa. (Vancouver Observer photo.) 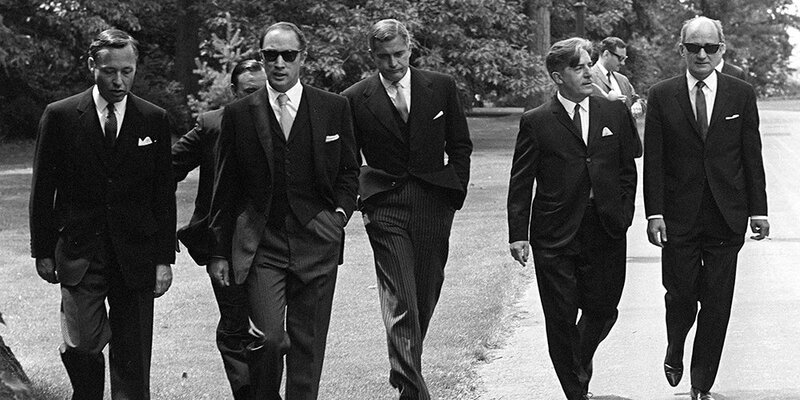 Below: Mr. Trudeau’s father, Pierre Trudeau, making the same walk with members of his new cabinet down the same driveway in 1968. Below them: Alberta cabinet members Kent Hehr and Amarjeet Sohi, and Mr. Trudeau’s brown shoes. Yesterday was a good day for Canadians, not just for the Liberal Party. Judging from what I’ve been reading on social media, a lot of progressive Canadians who are not necessarily Liberals – whether they come in orange, green or some other flavour – felt much the same way yesterday. Well, you have to allow us some partisanship: What a relief to get up in the morning and know that by nightfall Stephen Harper would no longer be prime minister of Canada! As for Mr. Trudeau, he had the very good fortune to be blessed with a talented caucus in sufficient numbers to let him to make 30 strong choices of the kind traditionally needed to build a successful cabinet in addition to the long-overdue requirement for gender equality. In this, the way was paved and the political benchmark established by Premier Notley’s recent exercise in cabinet making, without which, I couldn’t help wondering yesterday, Mr. Trudeau might not have been under as much pressure to do as good job of achieving gender parity as he did. Regardless of whomever deserves the most credit for this step forward, there is no going back. Any future premier or prime minister who chooses a traditionally male-dominated ministry had better have been left by voters with the excuse of an equally male-dominated caucus! Thankfully, the talent pool in this Liberal caucus was deep enough to defuse the preemptive complaints of Conservative troglodytes like National Post columnist Andrew Coyne – who crankily argued cabinet choices should be “based on merit, not gender,” but made it sound as if he meant male and merit are roughly equivalent concepts. So here’s to Ms. Notley and Mr. Trudeau for acting quickly to make Alberta and Canada better places, instead of just mouthing platitudes. Now, of course, it must be acknowledged that many of us will soon be disappointed by the Trudeau Government. The knock that Canadian Liberals blink left and turn right is a fair one, with plenty of historical precedent. Still, the cabinet choices announced yesterday bespeak a desire by our new PM to do at least some important things in a progressive ways. Maybe many things. In fairness, most voters are bound to be disappointed by any government of any stripe because politics is the art of the possible, and that means compromises must be made to survive. Indeed, part of Mr. Harper’s downfall on Oct. 19 was that he is a harsh right-wing ideologue who became increasingly unable or unwilling to make the compromises necessary to remain in power. You can call that a virtue or a flaw, but Mr. Trudeau at least has started his long walk on the right foot. Which is to say, of course, the left one. And while we should all be prepared for disappointment, I remain optimistic about Mr. Trudeau for this, entirely theoretical, reason: I can’t shake the thought he would like to match, and perhaps exceed, his father’s legacy. While not without flaws, Pierre Trudeau’s legacy is in important ways a positive and progressive one. He may have unnecessarily employed the War Measures Act in a crisis, and given us Zap, you’re frozen! as shorthand for a cynical change of course, but his greatest act was bestowing the Canadian Charter of Rights and Freedoms on this country. This was a gift that benefits Canada to this day as a mechanism for confounding autocratic villains. If my theory is right that Justin Trudeau wants to leave us with a similar legacy, perhaps his government really will follow through and reform our voting system in a way that makes Canada more democratic, and not just more prone to elect Liberal governments. If Justin Trudeau manages this trick, history will overlook his flaws – whatever they turn out to be, for they obviously weren’t the ones the Harper Conservatives highlighted in their wretched attack advertisements – out of gratitude. I can tell you his two Alberta cabinet choices are sound ones, although it’s a credit to his caucus that there were other good choices in a province that saw fit to send only four MPs from the governing party to Ottawa. 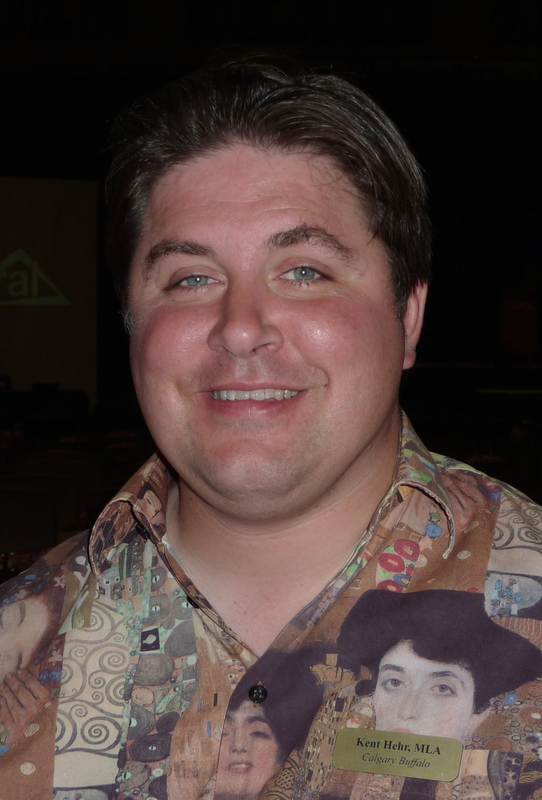 Kent Hehr, the Member of Parliament for Calgary Centre, once got in trouble with his own party for advocating co-operation between Liberals and New Democrats. “The centre/centre-left in this province will not form government until we are in one big tent party,” he wrote in a guest post in Dave Couronyer’s Daveberta.ca blog in 2012, not imagining, I suspect, that Ms. Notley would forge just such an alliance under an orange banner and he would benefit from the same crossover of orange and red voters to stamp his political passport to Ottawa. The victim of a drive-by shooting that left him a paraplegic in 1991, Mr. Hehr was sworn in as minister of veterans affairs. He is the first Liberal cabinet member from Calgary since 1972, when the elder Mr. Trudeau was prime minister. 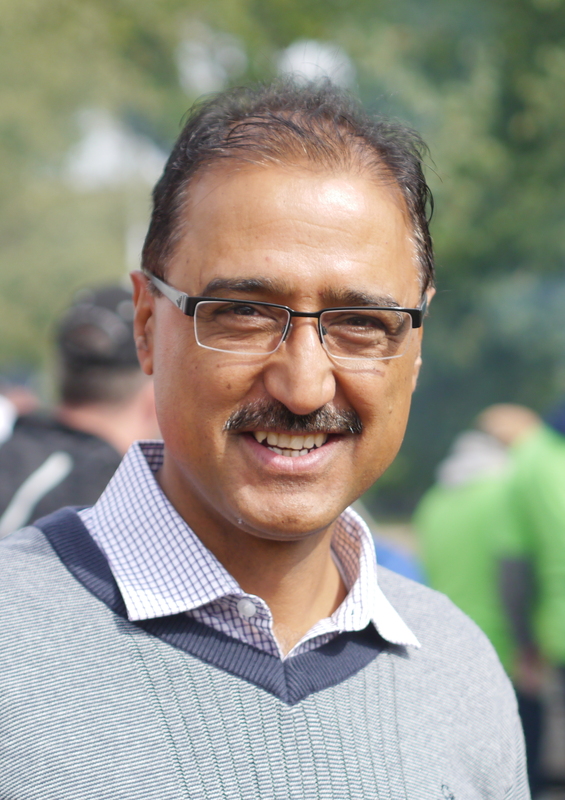 Amarjeet Sohi, MP for Edmonton Mill Woods, has been a respected and hardworking Edmonton city councillor since 2007, and cut his political teeth on progressive causes. He’s the only Alberta Liberal I can think of who never misses the Edmonton and District Labour Council’s annual Labour Day Picnic for the unemployed and under-employed. Surely it is more than a coincidence that Mr. Sohi, Canada’s new infrastructure minister (and given Prime Minister Trudeau’s spending promises, potentially the most popular man in Canada as a result), and Notley Government Infrastructure Minister Brian Mason both got a start as unionized Edmonton bus drivers, a tough job that obviously teaches some of the diplomatic skills required for success in politics. Finally, for me, after the divisive tone taken by the Conservatives in the recent campaign it was hard not to be moved to hear the emotion in the voice of Democratic Institutions Minister Maryam Monsef, who was welcomed to Canada as an 11-year-old refugee from Afghanistan by way of Iran in 1996. Perhaps now we can get back to being a welcoming country again. 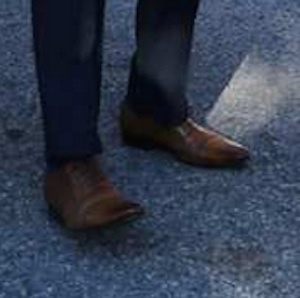 If there was a discordant note today, it was only this: Our new prime minister wore brown shoes with a blue suit! But that’s going to be a heck of a lot easier for Mr. Trudeau to fix than some of the messes his predecessor left behind! Brown shoes don’t make it. Quit school. Why fake it. TV dinners by the pool… I was there too. Thanks for a great column. It’s on a day like today that I almost wish Rob Anders was still a MP. Can you imagine him waking from one of his regular naps to find out that the cabinet now consists of two observant Sikhs, a former refugee, at least one openly gay member, and the icing on the cake a member who was held for two years in an Indian jail on suspicion of being a terrorist. Even better, that half the cabinet are women. Mr Trudeau has filled his cabinet with what appear to be very worthy and very interesting individuals. I look forward to where this country may be headed. Oh, and it was refreshing to see reporters being allowed to ask unscripted questions. Perhaps this topic will be worthy of a blog by our intrepid host? I sometimes wear brown shoes, blue jeans and dress shirts. Works for me. Frank Zappa once asked composer Edgard Varèse if he would teach him composition. Varèse walked to his bookshelf, took out a book entitiled ‘Techniques of Orchestration’, handed it to Zappa and said ‘Read this.’. I can appreciate a gender-equal cabinet. However, I take issue with how he answered the question about the gender balance in the cabinet. I wish he’d have said that gender consideration wasn’t a factor instead of “because it’s 2015”. The reason is that the focus is now on gender when it should really be on the qualification. it would be disingenuous of him to say that gender wasn’t a consideration. it is, and it’s a consideration that should continue to be made as long as we live in a society with ingrained patriarchal tendencies. it’s a good thing for us to actively push back against those tendencies and it’s something that, in 2015, we have no excuse to ignore. I think that Trudeau would be giving too much credit to the “what about merit? !” crowd if he had bothered to give a merit-based answer. by not engaging with them on that level he avoids giving any legitimacy to the false, implied premise that there’s more merit among the men than the women in his caucus. First, to use an analogy, just because I say your mother is a woman, it doesn’t mean I’m denying that your dad is a man. People get oversensitive about a lot of stuff. A merit-based answer is (or should) in no way implying that male Liberal MPs is more qualified than their female counterparts, and vice versa. Second, if one has to continue being mindful about the representation of men and women, is that a form of sexism as well? As an Alberta centric blog perhaps it would not be to far off topic to have a look at the former Minister of Defense (who has never held a job outside of politicking in his life), and the current Minister of Defense Harjit “Badass” Sajjan. Conservatives say he has no merit. Can you imagine Jason Kenney speaking with this kind of clarity and nuance? I think that the brown shoes don’t make it is a true generational thing. All the younger men I know tell me that it is a very cool look and why am I being so old school. I have even, on rare occasions, been known to wear brown shoes with blue pants but cool as it may be it feels wrong, wrong, wrong. I was struck by the PM’s sartorial choice and wondered who was thinking that it was wrong and who was thinking that it was tres cool. Anyway, if Mr Trudeau’s government even approaches the tone he set yesterday, it will still be a vast improvement over the HarperCons. … TV dinner by the pool aren’t you glad they, unlike the CPC, finished school? A little more is required on the brown-shoes issue. To Anonymous: The Male Sartorial Act of Canada has never banned the wearing of brown shows with blue denim. Only other blue fabrics, especially wool. To Philip Akin: I’m so glad it’s not just me. Of course it’s a generational thing, as much as believing that a young gentleman should never venture outdoors without a powdered periwig, or should not attend formal functions such as openings of a legislature or weddings without a strip of coloured cloth tied in a noose around his neck. Still, this one is hard for us old gents. It is to be hoped that on other fronts, we old gents are doing better. Last night on the way to pick up one of my offspring at the University of Alberta I heard on my car radio Anna Maria Tremonti interviewing Jill Abramson, late of the New York Times, about perceptions of women in the workplace. One of Ms. Abramson’s observations was that no male journalist, or perhaps she meant no journalist of any gender, would comment on a man’s shoes, although they frequently bloviate about women’s footwear. I must tell you, I was pleased to have just filed a blog post that did just that, even if I am am only a former journalist. See, in small things change is wrought. Just to be with-it today, I wore brown shoes and blue trousers. I may have to go home and change, though. Finally, while I quoted Frank Zappa and my late mother on this topic, I must qualify this by stating that Mom would not have approved of Frank’s assertion one should quit school. That said, for all the good the master’s degree did me, he may have been right. A little lightness is always welcome in these serious times. Good analysis and fine writing by all commenters today. Now with a new gov’t taking control of the reins of power in Ottawa I have a small list of things I would like to see happen. 1) I would like to see ministers stop to referring to issues as “files”. As in this minister is working on the “Syrian refugee crisis file.” Basically this takes enormously complex issues and boils it down to the contents of a manilla folder that could be solved easily over tea. 2) Get Canada out of NATO. It’s become a solution looking for a war to solve a problem that’s not there. Better yet I would like to see Canada initiate some sort of dialogue on the world stage on rewriting the rules of international trade. The old Breton Woods agreement which rewrote the rules of trade after WWII is tearing apart at the seams. Time for it to be replaced. 3) I noticed hockey commentators in recent years referring to pucks ending up “in the back of the net” when a goal was scored. It used to be putting a puck “in the net.” Why do they now need to use six words when three would do? At first glance this may sound silly. What does Ottawa have to do with hockey? With our cell phone bills paying a lot of these salaries (via Rogers television deals) you can expect them to keep going up which requires federal approval. We could demand hockey commentators become more efficient in their airwaves verbage. Somebody should look into it but t might help reduce global warming. I agree with you about the problem nowadays with NATO, which seems to want to get us all incinerated to preserve a few military bureaucracy jobs in Brussels. Probably better we stay in, though, if only to be a voice of sanity in an increasingly insane organization. At least we won’t be cheer-leading the craziness any more, one hopes, although that is not certain given the Liberals’ position on Ukraine, which was as bad as anything Harper came up with. I think the back of the net reference means to imply a solid goal, no doubt about it, as opposed to the puck dribbling across the line between the goalie’s feet, implying grounds for dispute about whether it’s a goal or not. As sports analogies go, if you ask me, this isn’t bad. The term “in the back of the net” has come to refer to all goals scored, not just solid goals as opposed to pucks dribbling across the line. Forgive me if I’m sounding like a Nazi on this but I don’t like it. The view of “Conservative troglodytes like National Post columnist Andrew Coyne” whom you mentioned “crankily argued cabinet choices should be “based on merit, not gender….” is shared by this ‘cranky’ woman. However, that said, I trusted JT to do the right thing in trying to balance his cabinet as best as he could with respect to racial diversity, sexual orientation, and regional representation if gender parity was not totally achievable. We do, after all, need to encourage more women to run for office. The CPC, on the other hand, should be given quotas. LOL. Incidentally Mr Coyne voted NDP! Yes, I knew about Mr. Coyne’s vote. He probably agreed with Thomas Mulcair’s position on deficits. Regardless, in 2015 a caucus of 184 members, regardless of party, is guaranteed to have 15 or so people of both sexes who are qualified to be cabinet ministers. The “most” qualified is a relative concept in an exercise that by definition has to include regional, cultural and social balances. It’s just the way it works and if it makes some men nervous, well, too bad for them. I recently had a “brown shoe” experience. My now son-in-law chose to wear brown with his blue suit at the wedding. I was take aback, just a tad, until I learned from my daughter that it had become a thing with fashionable young professionals seen strolling downtown Vancouver sidewalks. Hey, that’s how you know you’ve entered geezerdom. It’s when you cling to notions of your day and the young people raise their eyebrows when they think you’re not looking. It’s sort of like telling them that you once bought bread at 40-cents a loaf. Why, in my day…. ….. I recall John Turner wearing brown shoes with a blue suit in the 1980’s. Being from Vancouver maybe he started this trend? Or, maybe it’s a Liberal PM thing.